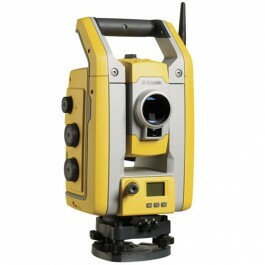 The Trimble S5 Total stations is all you need to perform efficient, accurate and reliable surveying. All you need to perform efficient surveying campaigns is available in the Trimble® S5 Robotic Total Station solution: An accurate and reliable instrument, DR Plus EDM, MagDrive™ technology, the popular Trimble TSC3 controller with Trimble Access™ field software and quick data processing with Trimble Business Center office software. Trimble has been manufacturing the industry’s leading robotic total stations for over a decade. You can depend on the Trimble S5 Total Station to keep you productive in the field no matter what you encounter. Know where your total stations are 24 hours a day with Trimble Locate2Protect technology. See where your equipment is at any given time and get alerts if your instrument leaves a jobsite or experiences unexpected equipment shock or abuse. Trimble InSphere™ Equipment Manager system lets you view usage and keep up-to-date on firmware, software and maintenance requirements. With Trimble Locate2Protect and InSphere Equipment Manager, you can rest assured knowing your equipment is up-to-date and where it should be. The Trimble S5 Total Stations are available in robotic or Autolock®-only versions. The Trimble S5 robotic and Autolock versions have an optional TCU data collector with Trimble Access field software for convenient, simple operation in any environment. Integrated Surveying The Trimble S5 Total Station provides the foundation for Trimble’s Integrated Surveying™ solutions. With Integrated Surveying, you can seamlessly integrate complementary technologies on the job site, such as Trimble GNSS receivers and optical measurements.